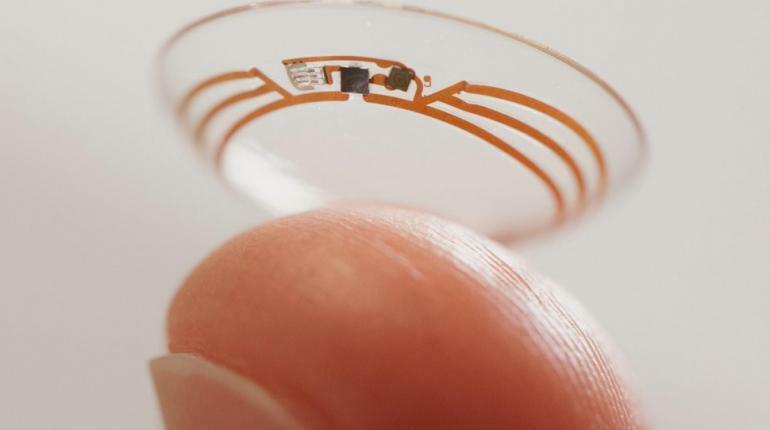 Always at the forefront of technological advancement — arguably — Google has just recently applied for patents for a set of smart contact lenses, which would allow anyone wearing them to utilize a built-in micro-camera and control it with the blink of an eye. If the ideas come into fruition, the lenses, which would be no thicker than normal lenses, will process both still and moving image data, as well as light, colors, patters of colors, objects, faces, motion, and much more. They would be controlled by the movement of the user’s eyelids and read by multiple sensors reacting to changes in pressure, conductivity, temperature, and electrical fields. Essentially, a user would be able to control the lenses by blinking, and then perform functions based on the data on the contacts on a mobile device. Though spy agencies would love to have the contacts in their arsenal of gadgets, Google sees a more useful approach. 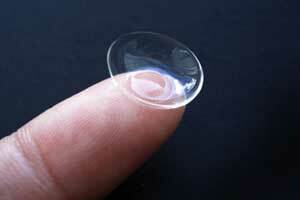 The contacts would help blind people get around more efficiently. In one image from the applications, Google illustrates how a blind person might use the contacts almost like artificial eyes. As they approach an intersection, the micro-camera would process how close the person is and whether cars are moving through it. If there are cars, the lenses would relay the information to the person’s mobile device, which would generate a warning. In addition to this feature, the lenses would also recognize faces. Like a miniature donut stuffed inside a tiny pita pocket, a common glaucoma medicine is sandwiched inside this specially designed contact lens. In laboratory experiments, the lens, which can also correct vision, releases the eyesight-saving medication at a steady rate for up to a month. Its construction offers numerous potential clinical advantages over the standard glaucoma treatment and may have additional applications, such as delivering anti-inflammatory drugs or antibiotics to the eye. Glaucoma is a group of conditions that can result in irreversible blindness. This vision loss can be reduced if glaucoma is found and treated early, most commonly with eye drops to lower pressure within the eye. But using eye drops regularly can be a challenge. And while the drops can minimize further vision loss, they don’t repair vision that’s already lost. People using traditional eye drops for glaucoma “aren’t getting any symptomatic relief, and they’re not seeing better, so there’s not a lot of motivation to be compliant with the medication,” said Joseph Ciolino, an ophthalmologist who, along with his mentor Daniel Kohane, developed the new contact lens at Harvard Medical School.